On Monday I proclaimed my love of Pumpkin Spice Lattes….they scream fall to me! 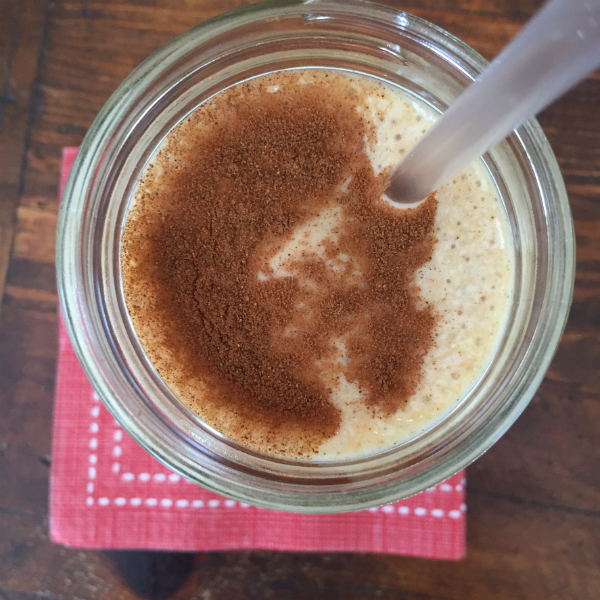 My girls LOVE Pumpkin Spice Frapps…so I have been determined to create a healthy version. 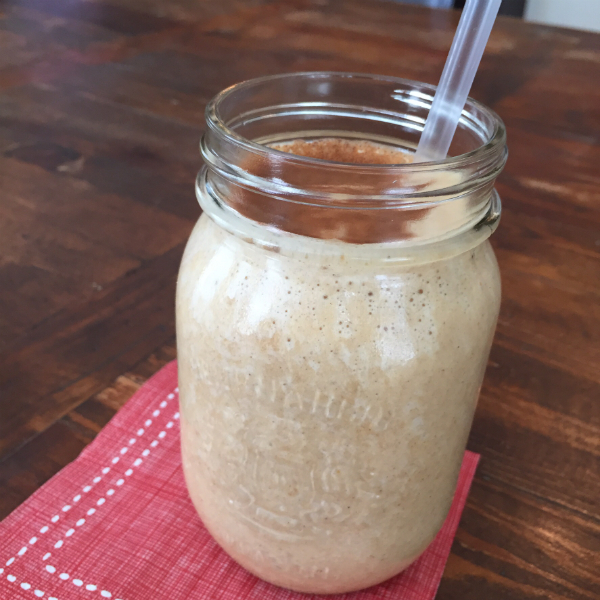 I used this recipe as inspiration for a low carb pumpkin smoothie that I could enjoy! 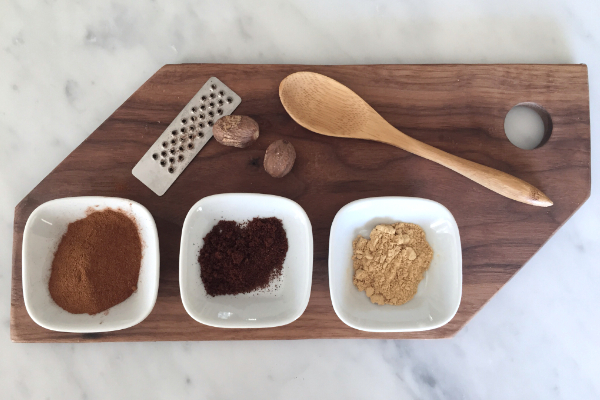 Before you start, you will need to make the pumpkin spice mixture if you didn’t already try out the Pumpkin Spice Lattes on Monday. 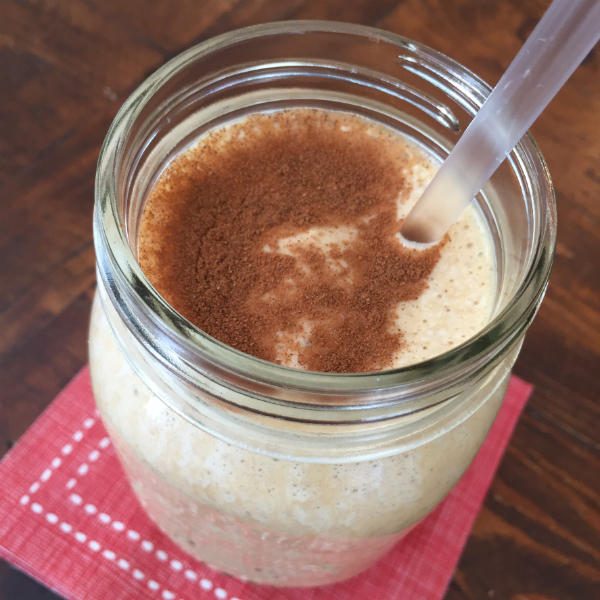 It’s super quick and easy…just combine 4 teaspoons ground cinnamon, 2 teaspoons ground ginger, 1 teaspoon ground cloves and 1/2 teaspoon freshly grated nutmeg (you can use ground nutmeg, but the flavor isn’t quite as good). This is enough for several smoothies, so store the extra mixture in a sealed jar. You will also need to use pure pumpkin puree…you may have some left over if you tried the healthy PSL I posted on Monday. Make sure to use pure pumpkin…canned is fine… and NOT pumpkin pie filling which is full of sugar and carbs. You can make your own if you prefer. I use NaturePro Raw Vanilla Whey Protein Powder. I love the taste and it’s non-GMO and you can read more about it’s benefits here. 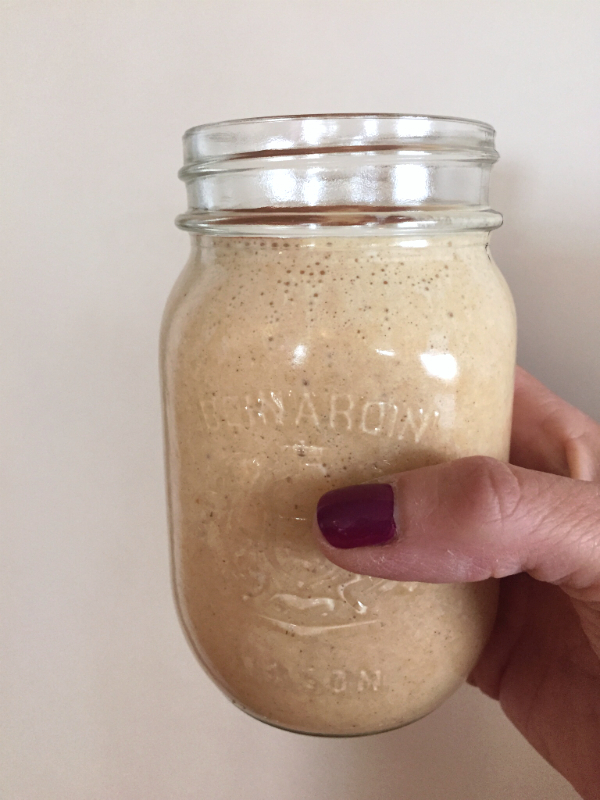 This smoothie is filling and it really does satisfy my cravings for Pumpkin Spice Frapp and it only has approx 6 net carbs…that works for me! I’d love to hear if it does the trick for you!